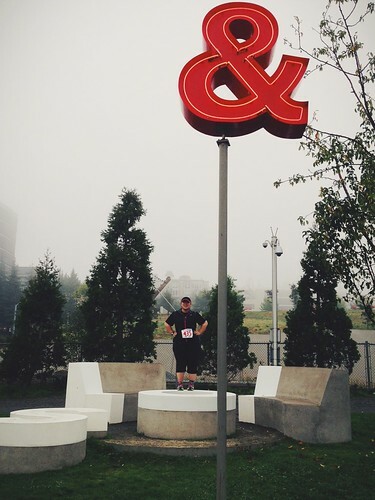 I am a Freelance Graphic Designer based in Seattle and I’ve been on a fitness kick for the past few years. I started working out on the machines at the gym to lose weight, but they started to get boring. Luckily, a super encouraging trainer suggested I join her Boot Camp class and I take 2-3 of the 1-hour sessions each week. In the summer of 2013 I fell in love with running—I’m slow as molasses, but I find it super enjoyable! In June 2014 I will run my first Rock ‘n’ Roll Half Marathon! Wish me luck.